Did everyone get a chance to check out my April Fools post earlier today? Hahah. Well that was fun, but now it's time to get to today's real nail art. 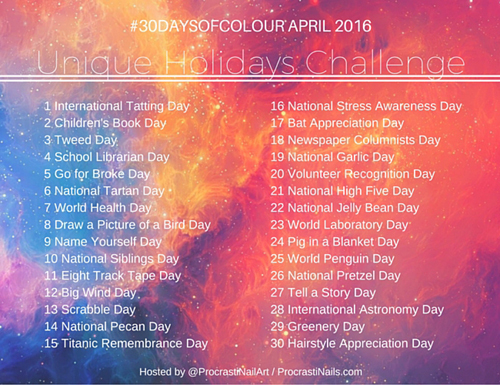 This is my first fill for this month's 30 Days of Colour Challenge! This time around we're doing a Unique Holidays Challenge, and today's unique holiday is International Tatting Day. 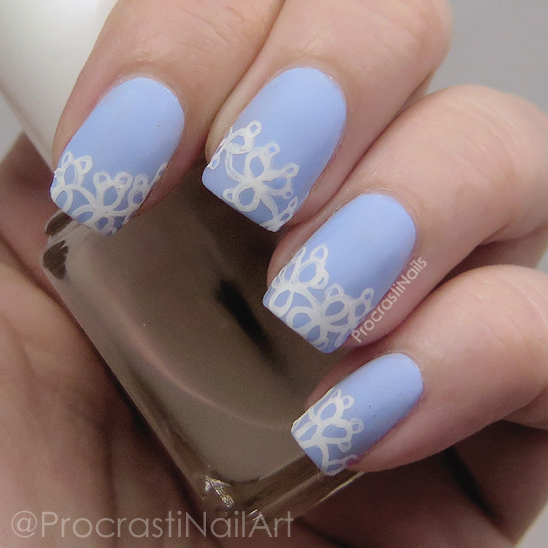 Tatting is a type of lace-making, so I freehanded these tatted lace nails to fit with the theme! Check out more under the cut! I started with a base of Sally Hansen Xtreme Wear Babe Blue (which I am in love with!) 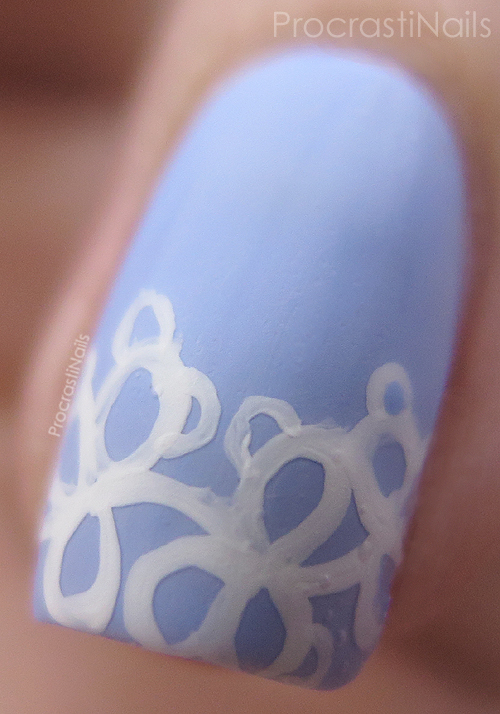 and when that was dry I used acrylic paint and a tiny detailing brush to freehand this tatted lace style look along the edge. When that was dry I put a layer of Seche Vite down and then covered it with Essie Matte About You. I had to look up info about tatted lace to really get an idea of how to do it, and I was surprised to find that tatted lace has a very distinct style compared to other lace! The thick loops at the core seem to be a theme, with the smaller loops connecting it all together. I think I did a pretty good job at recreating the same type of design, but if any of you are experts in tatted lace I'd love to hear what you think! Below you can get a look at the designs the other members of our group have put together for today's theme, and if you want to join us feel free to check us out on fb and add your own swatch or art to the linkup!